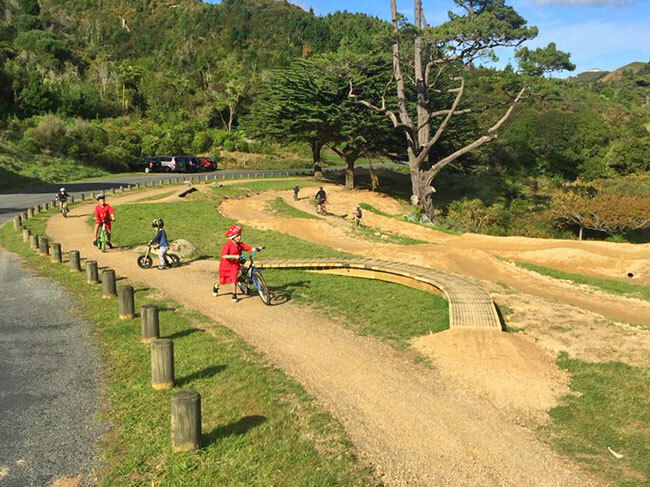 Greater Wellington Regional Council has built a new bike skills area at the entrance to the Belmont Regional Park on Stratton Street. The park features a number of obstacles suitable for young kids through to adults who just want to have a little bit of fun. The park is set to become a popular attraction in the warmer months ahead. For more information about biking in the Maungaraki area, visit the Belmont Area Mountain Bike Association website at bamba.org.nz. This entry was posted in Maungaraki News. Bookmark the permalink.